Twenty (20) total homes and spaces consisting of fifteen (15) resident-owned homes, two (2) park-owned homes, and three (3) apartments. 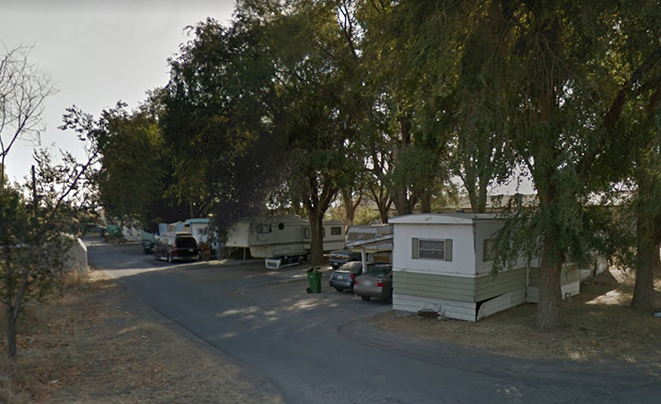 This all-ages mobile home park consists of 18 month-to-month mobile home park spaces (one vacant) and three apartments. Of the 17 homes, 15 are owned by the tenants and two are owned and rented by the park. Lot rents are $300 (excluding utilities) and mobile homes rent for $500/month. The three apartments rent for $400 per month. Elm Grove is offered with seller-negotiable financing.